﻿ "Andhadhun"... Of mystery, music and masterful filmmaking! Tusshar Sasi	 October 6, 2018	 Leave a Comment on “Andhadhun”… Of mystery, music and masterful filmmaking! When a filmmaker of Sriram Raghavan’s caliber chooses to open his film with a random single-eyed rabbit astutely escaping a gunshot, one certainly gets a hint on what to expect. The animal munches his cabbage and also gets away unscathed. Wait before you make comparisons to the film’s blind leading man Aakash (Ayushmann Khurrana) because there are many more quirks that will catch you unawares in the succeeding reels. Set in the filmmaker’s favourite haunt Pune, Andhadhun, as many would know, is about a blind pianist who gets entangled in a murder mess. A significant part of the screenplay (Sriram Raghavan, Arijit Biswas, Pooja Ladha Surti, Yogesh Chandekar, Hemant Rao) is spent on puzzling us whether the man is blind or if he is simply faking to be one. If we look at his glances, repartees and reflexes, the character is a fascinating mix of equal possibilities – Aakash can prove to be blind or otherwise. Joining the jumble later on is the lissome Sophie (Radhika Apte, stellar as always) who gets him work at her father’s upbeat club. Upon entering the act two, Andhadhun begins to unveil bizarre shades of its secondary characters. Pramod Sinha (Anil Dhawan) is a well-known actor from yesteryear’s and is possibly the biggest fan of himself. His wife Simi (Tabu), however, chooses not to be one even though their marital life appears to be perfectly normal and not without a captivating film connect – which, coming from Raghavan, is of no surprise. Centred on Khurrana’s character, the film also manages to give fine shades to its remaining cast members. Almost a parallel lead, Simi announces to her husband, “Crab meat is an aphrodisiac. Don’t ask me how to spell it; I can tell you the meaning if required.” What precedes this moment is Simi explaining her intricate process of readying the crab to be cooked. Amid all this we are not over-exposed to what she is or what she could be. Yet the idea is to prepare us to what lay ahead – a heinous murder. Andhadhun is not a whodunit. Nor is it a tangled journey of the hero getting the guilty punished. Instead, the film opts to be a thoroughly engaging journey that introduces a slew of characters post the incident of murder. While Aakash’s blindness continues to be a mystery, the existing players begin to exhibit cold and startling traits. The momentum dips significantly as the film – out of the blue – brings to the fore an organ-smuggling racket. Though designed with a delectable hint of dark humour, the episode commences on an underwhelming note until the characters (Zakir Hussain, Chaya Kadam) begin to display certain shocking, independent traits, contributing amply to the film’s erstwhile perplexing narrative. Andhadhun reserves some of its finest bits in the final act and the climactic moment is rousing and also one with tremendous possibilities for fan theories. 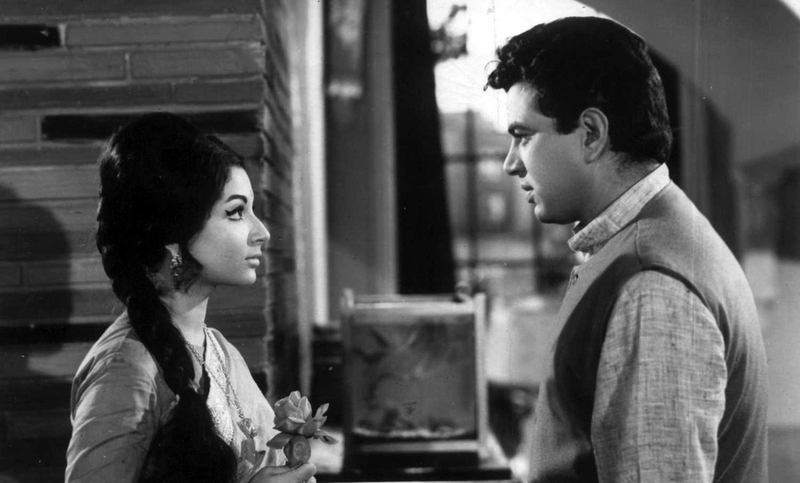 Keeping the film’s dual, mystifying tone intact, Sriram Raghavan intersperses the film with abundant black-and-white elements – the piano, the cat named Rani and the chess board to name a few. Even the music is very much in tune to what the mood is or what it is going to be in succeeding sequence. If Aakash plays a classic Bollywood romantic number (‘Kehna Hai’ from Padosan and various hits of Dhawan himself) in one instance, it is a somewhat loud Punjabi tinged song in another besides singular background pieces that remind you of those in the best of European cinema. Sometimes we wonder if the film would have been as flavourful if Aakash were not to be a musician. Amit Trivedi’s songs, in particular, barely pass muster except the one in the finale but it is their placement coupled with the saucy original score (Daniel B. George) that contributes significantly in lending the film its terrific atmosphere. The score, in its own characteristic way, also helps in building the characters and their inherent ambiguities. The same can be said about the production design and the devices that the writers employ in spinning drama out of ordinariness – Aakash’s home, the pair of His-Her mugs, the wine bottle, the eye mask, the Lord Shiva tattoo, and so forth. Raghavan is aided effectively by KU Mohanan’s camera which seems to know its method for motion. Even in tiny moments like the one with Simi and the scream mask, the DOP-editor chemistry is marvellous. On that note, let’s also applaud Raghavan for the spellbinding ways he stages his scenes by. The sequence where Aakash visits Simi and Pramod’s house for the first time is a fine example of what a crackling combination of fine writing and masterful execution can bring to the table with just the right amount of everything in use – be it the music, sound design or camera movements. Additionally, Raghavan’s choice of actors is spot-on yet again. Trapped in a Lady Macbeth-like scenario (though unlike Maqbool), Tabu displays great strength and ferocity playing Simi whose characterization dwindles endlessly between deep grey and pitch black zones. Khurrana takes a break from his usual comedic, light roles and delivers a knockout performance as the blind pianist which is a part written with great care and detailing. Even more appealing is the way with which Raghavan gives screen-time and edginess to actors in cameos. Case in point being the inspector’s wife (Ashwini Kalsekar) who brings the house down in the most unexpected moments. Andhadhun is also not minus a handful of discrepancies. The neighbour Mrs D’sa is a flat-out unexciting rulebook character and the culmination to the episode ending with Aakash’s appearance in the scene lacks authenticity. I am also not big a fan of the climactic sequence which suddenly (or rather pretentiously) takes the flashback route. It is indeed enthralling but somewhere the device seems a little uninventive of the writers who, anyway, had unexplained conclusions in store for most players. 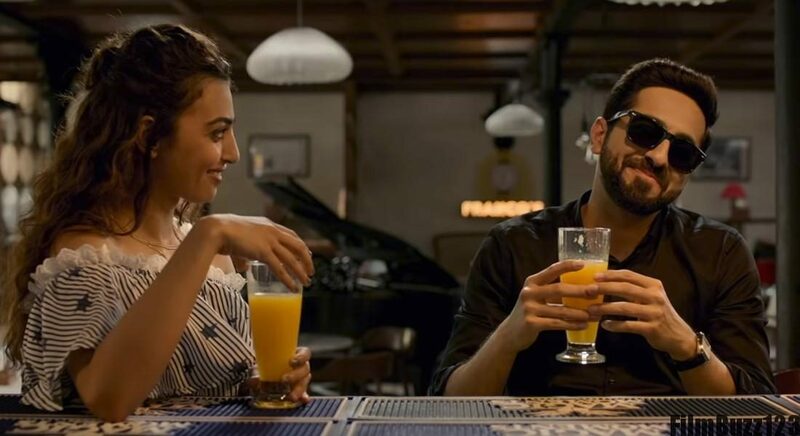 Nevertheless, none of it steals Andhadhun of the magical spell that it casts with largely taut screenwriting coupled with studied execution. For all connoisseurs of unique stories, the film is just that and Raghavan’s style of making doesn’t take its layered screenplay for granted as the end product is a nail-biting sonata of music, humour, action and razor-sharp suspense. In rather dull year for Hindi cinema, Andhadhun is a one-of-a-kind film for the industry and is also a neat benchmark for the genre that it belongs to. Previous Post“Pataakha”… Two warring sisters, a nutty premise and plenty of fireworks! Next Post“Kayamkulam Kochunni”… A staid bandit drama with striking visuals & a dash of Mohanlal swagger! 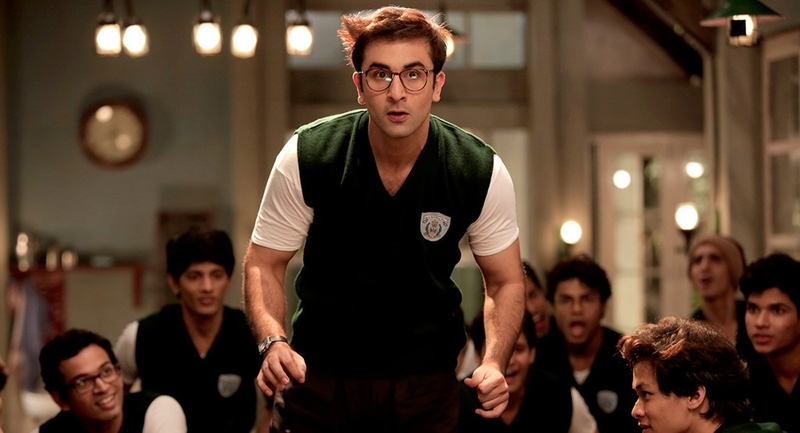 “Jagga Jasoos” is audacious and a possible game changer! “Chalte Chalte”… Happily, practically ever after!